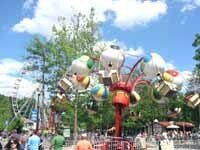 As the title implies, these are the rides that are fun and appropriate for the entire family. 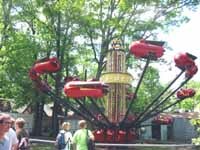 These rides are for the slightly older kids and their parents but are a bit higher and faster then the Kiddie Rides Some of these are not for the weak of stomach or fear of heights. 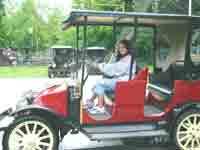 Antique Cars - Drive your own Antique car through and around the Phoenix roller coaster. Balloon Race Ride - Fly around in a gondola of your own replica of a hot air balloon. 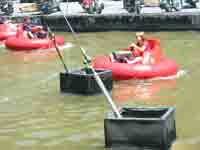 Bumper Boats - Bumper cars on the water. Any Questions? 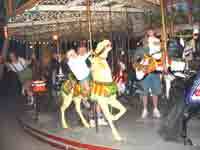 Grand Carousel - My Personal Favorite. Built in 1913 by George Kremer, who bought the carved wooden horses for his platform from wood carver Charles Carmel. 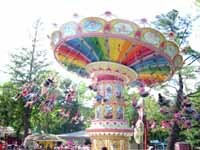 Enjoy the music from the band organs, appreciate the beauty of these antique, hand- carved horses and try to catch the brass ring on one of the few carousels where you still can. 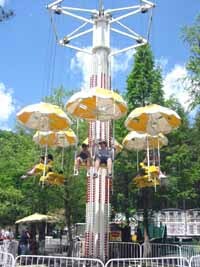 Italian Trapeze - Sit in a Swing and Fly. A current favorite of my kids. Merry Mixer - This is your classic Scrambler, yes you will get dizzy. 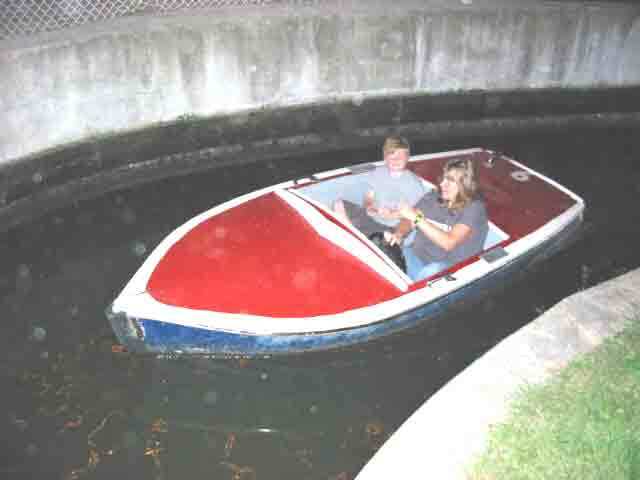 Motor Boats - Navigate your way through the motor boat moat using your boating skills. 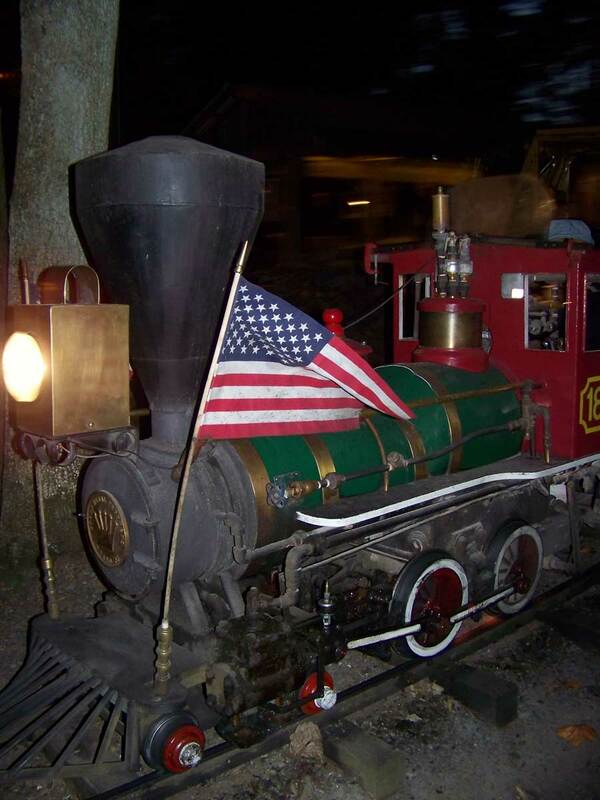 Old Smokey Train - Take a pleasant ride along the edge of the park pulled by an authentic steam engine. Paradrop - Gently rise to the top of the ride to enjoy the view, then, when will you drop? 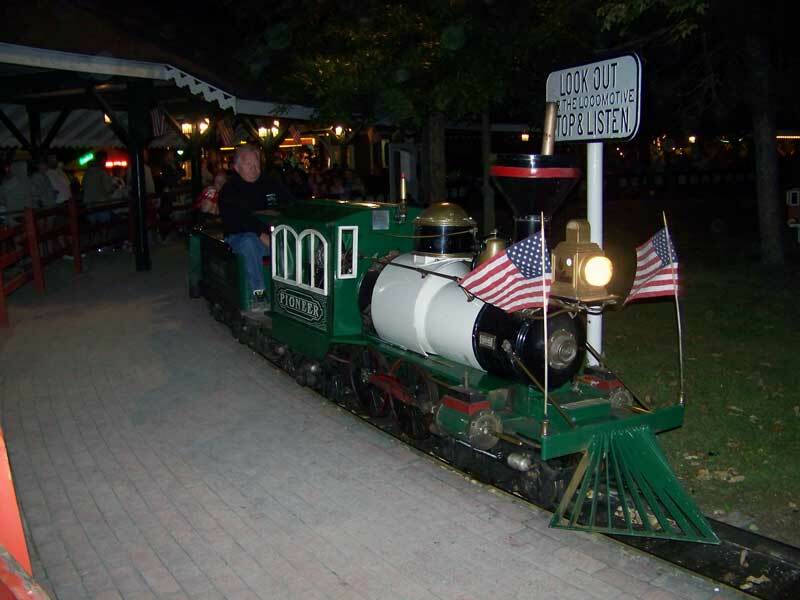 Pioneer Train - Ride this train and enjoy the scenery while passing through the Twister roller coaster, then chug along deep into the woods. 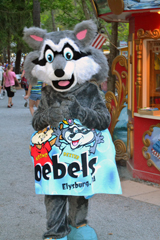 Who knows what sort of wildlife you�ll see on the mile and a half long ride. 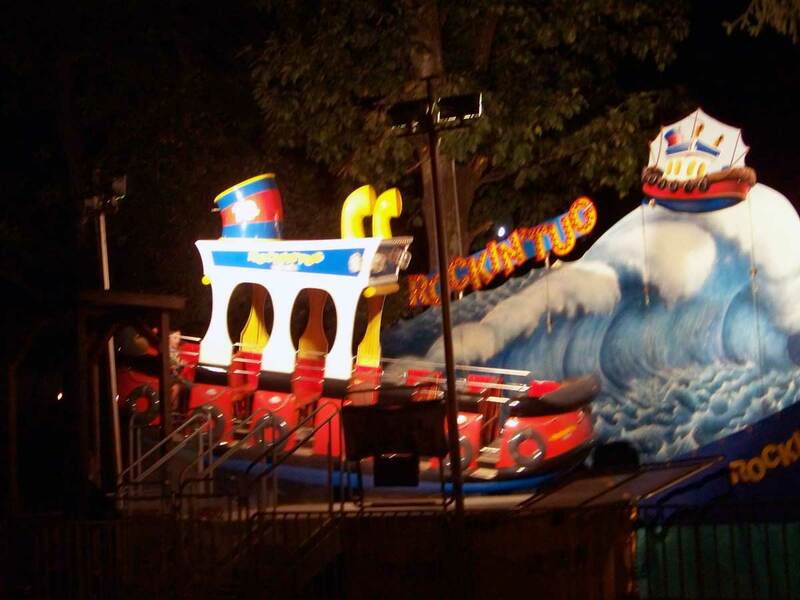 Rockin' Tug - A a rocking and rollong ride on the high seas. Roto Jets -	Fly up high or swoop down low, you control your altitude. The kids still like this one, but our friend Dianne is not so sure. Scenic Skyride -	This is a recent addition. 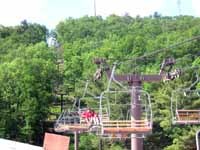 A 14 minute scenic chair lift ride to the top of the mountain and back. 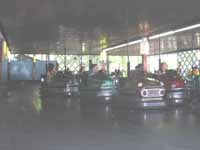 Skooter Bumper Cars - THE BEST BUMPER CARS ANY WHERE! 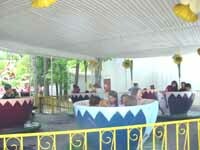 Tea Cups - Take a ride but before you have your tea. 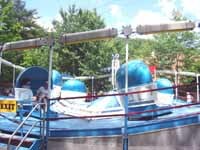 Tilt - A - Whirl - You think you got dizzy on the Merry Mixer? 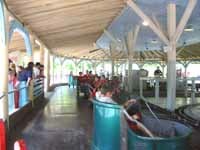 Whipper - A neck snapping whip ride with the entire family. 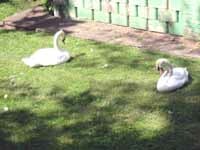 Some of the many Swans that hang around Knoebels.